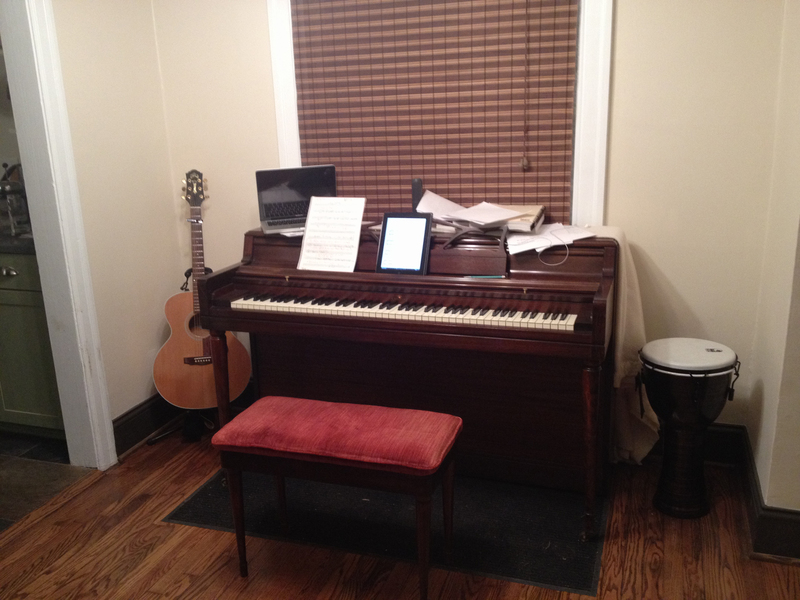 My pal Dan just bought a gorgeous upright piano and decided to transform an unused dining room in his house into a music room. He didn’t have too much money to spend on the transformation (he did just buy a piano, after all), so he asked what we could do with the 8×8 room for only $100. 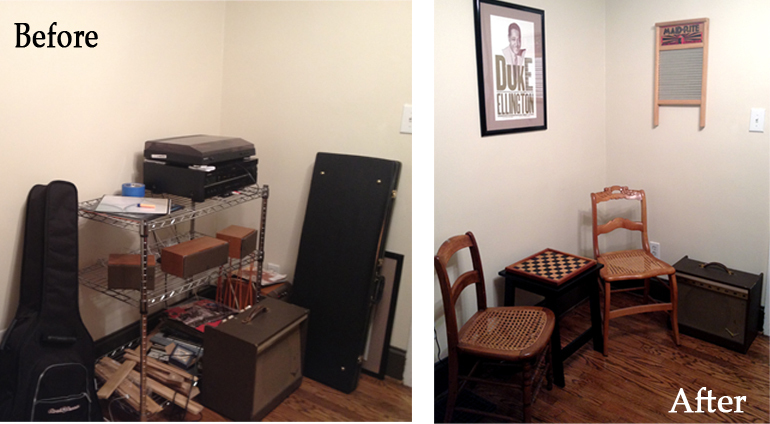 Dan’s only requirement is that we have enough room for a couple guitar players to sit and jam. So, my priority was to increase seating (armless chairs for guitarists), and to add just a few pieces of character in order to make things interesting without crowding the small room. At an antique store, I found two great mismatched cane chairs on sale for $25 each – They were actually in great shape and didn’t have any holes in the cane- what a steal! 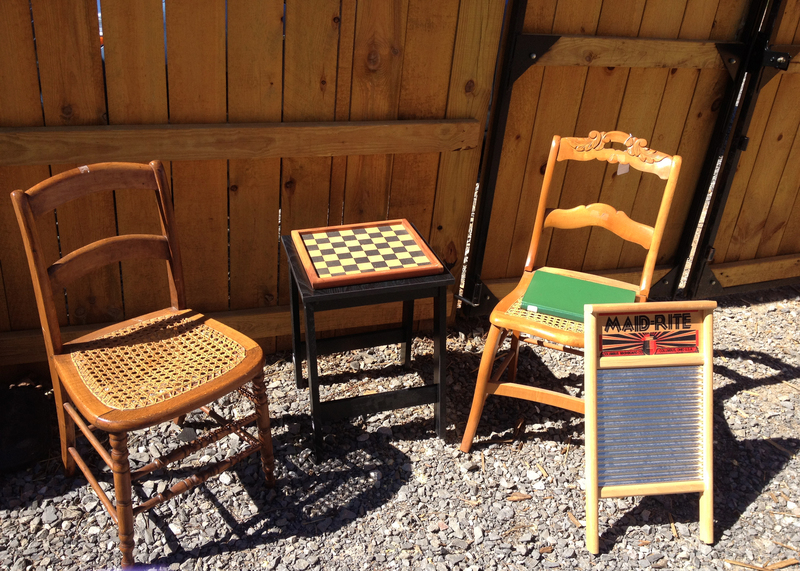 And, then I also found a small cork checkerboard ($6) and an old washboard ($12). Dan’s a good Virginia boy, so I loved these Southern touches. I rounded it out with a small black side table ($15, Wal-Mart) that could act as another stool during a jam session, a few candles ($3 each, Wal-Mart) and a hilarious book full of black and white cat photos ($3), including a cat playing a piano (oh, Goodwill). Staging everything in my backyard. I excitedly brought all the goodies over to Dan’s place and began to set everything up! 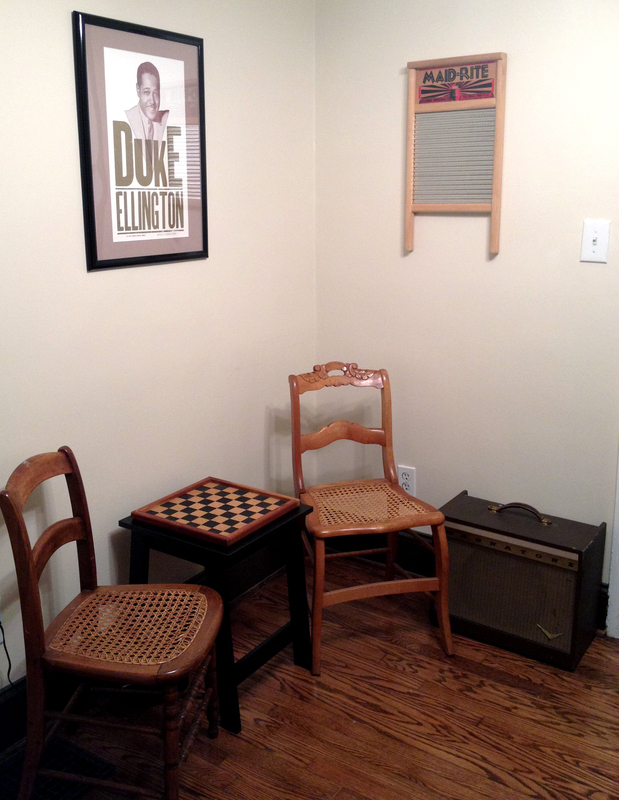 I hung up Duke Ellington and the washboard on the wall, and I used his guitar amp and acoustic guitar to fill some corners. 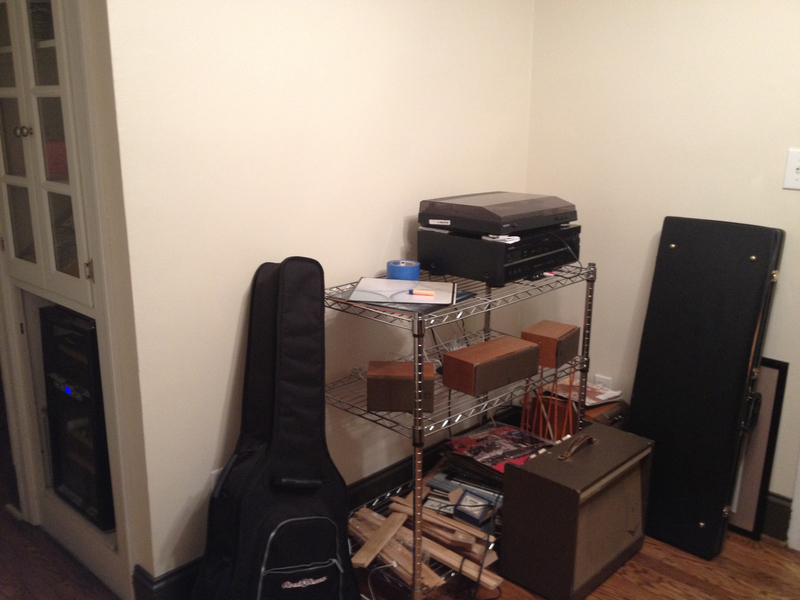 I love having instruments showcased in a music room; to me, they make the room look like someone actually uses it! Note the cat at the piano. 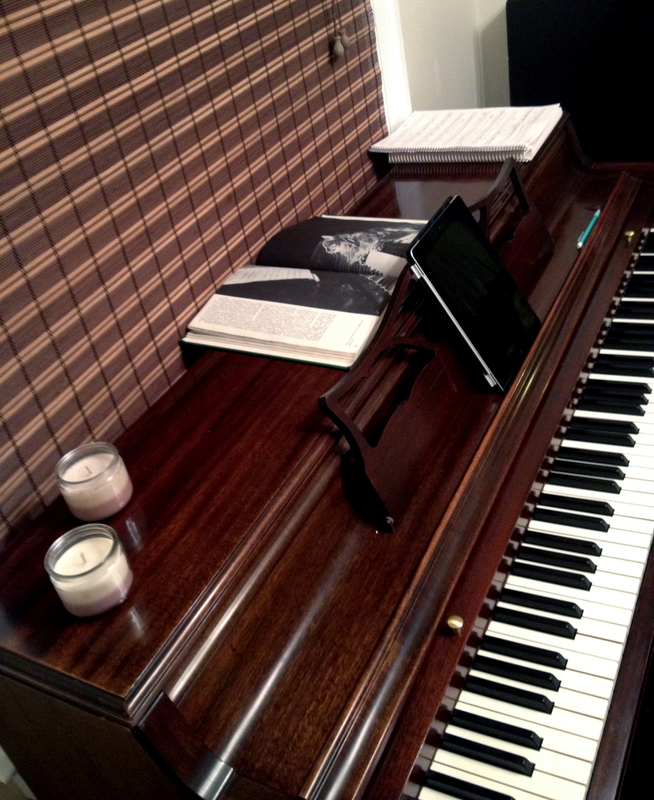 On the piano. I told you he looks like NPH! 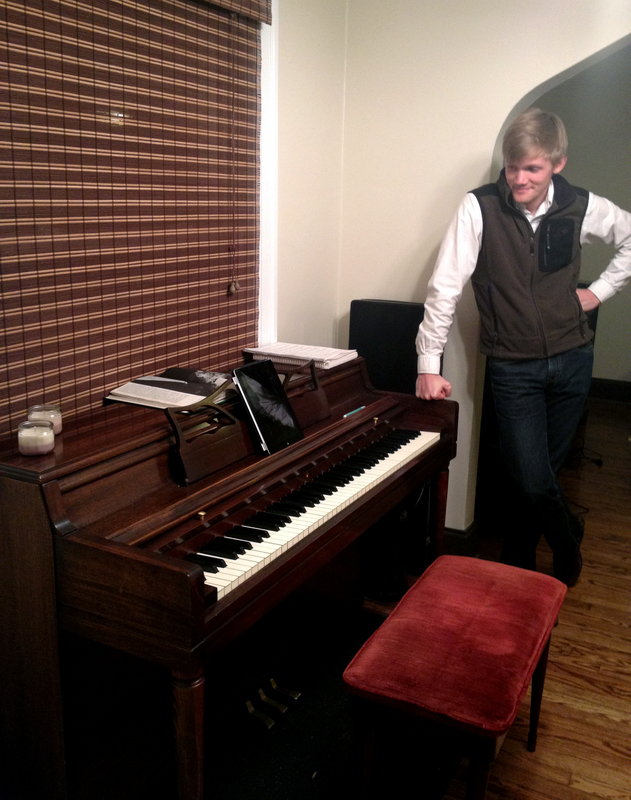 Happy in his new music room! 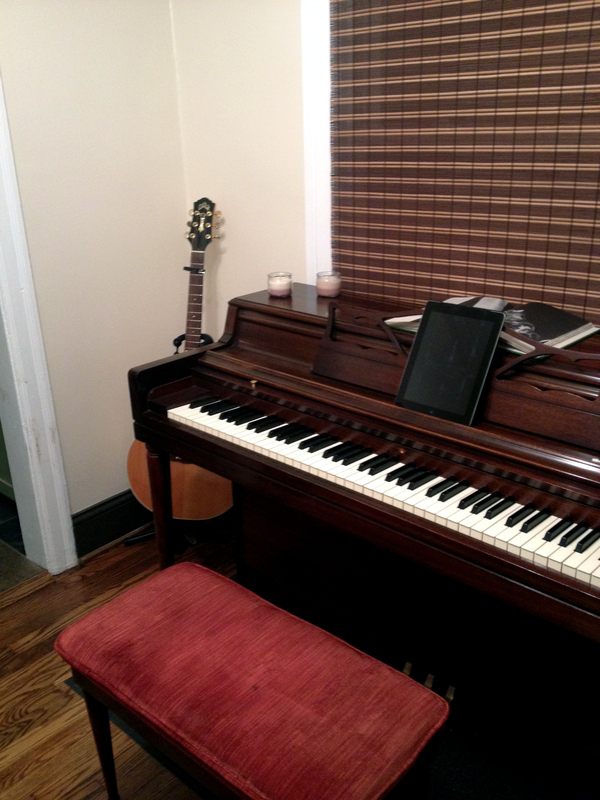 I love the simplicity of this room, and I told Dan he had to invite me over for the first jam sesh! Would love to know what you think!